It was September. The rains had resumed after a not so absolute break in August. I sat in my room all alone. The vegetative view from my Window was beautiful. It had been a good year so far. I had no doubts that the remaining months of the year would be beautiful as well. No one assured me of this though, but I could feel it in my soul. Music was what gave me insights into many things which I did. Not just any music. I had a knack for listening to what my contemporaries would tag "old school". Some of my favourites included Janet Jackson, Michael Jackson, Sir. Elton John, Don Williams (Gentle Giant), Phil. Collins, just to mention a few. These artists had their reign during the late 20th century. It was the 21st Century and other artists had emerged, some with equally soothing tunes but I guess I just couldn't let the 20th century tunes go. The lyrics and instrumentals were to 'die for'. These tunes accompanied with some prose fictitious works made my day, day in and day out. It came as no surprise to my acquaintances and friends when I began writing and recording tunes that were similar in tempo and rhythm to that of the aforementioned artists. In the light of this, I wrote some songs which were a little bit hard for me to voice, not because I wasn't a vocalist, but simply because of what every Man who loves to sing calm music fears...I began to grow up. My voice became deeper, I had to practice voicing various 'rhythm and blues' music so as to maintain my sound, but like they say, "you can't cheat nature". With this in mind, I became comfortable with my voice and restructured the songs I wrote to fall into my voice pattern. These were calm songs which I could voice with a little ease. It would shock the reader to know that despite the change in my voice, I didn't have any issues when I performed live on stage. I was known to thrill my audience. One scenario that easily comes to mind is a performance I did at a dinner during my birthday in the year 2016. A famous blog at that time reported that after my performance, the somewhat dull event began to brighten up. I just loved music, what was different about me was the simple fact that I preferred live performances and in these, I most times opted for only the instrumentals of any song I was to perform to be played. I felt by so doing, the audience could feel the music and appreciate my vocal prowess. I must confess at this juncture that this actually paid off because in time, I was known as a vocalist and lyricist by all and sundry. Thus, during the August break, I decided to start making short videos and vocal recordings of myself singing some of my own songs and also those of other artists whom I admired. It was during this period that a friend of mine, a former roommate and a rap artist stumbled upon one of my short videos in which I voiced a song without any instrumentals, the name of this my friend is YUWA. He was so surprised at what I could do. He immediately gave me a spot on his Extended Playlist (E. P) which he was working on. In November of that same year, as I listened to an instrumental, musical lyrics formed in my subconscious. After scribbling down what I tagged a chorus, I replayed the beat and this time I discovered one or two rap verses could be included to make the song something different from the norm which I had recorded before. With this in mind, I played some rap songs and I stumbled upon ZADE'S "Juice cover". The song caught my attention and so I played all his songs which I had and found out that he was a philosophical lyricist although a little blunt with his lines. That instance, I contacted ZADE. He responded positively after I sent him the instrumental and the chorus. By the evening of that same day, we had been able to put together a song which I titled "SUBCONSCIOUS". ZADE felt this title was not appropriate for the song due to the thematic makeup of the song. He suggested the title "PROMISES" and that was how we rounded off the writing aspect. On the 22nd of November, We met at the studio and within a few minutes, we had recorded the song. It must not escape mention here that the person who admonished and persuaded me to work with ZADE was Sede Gracious (called "Maxzi" by me). She played a sacrosanct role in making the song to be birthed. The song titled "PROMISES" ft ZADE drops on the 12th of December 2017. An overview of my musical journey thus far, I can confidently say that I have made tremendous success. 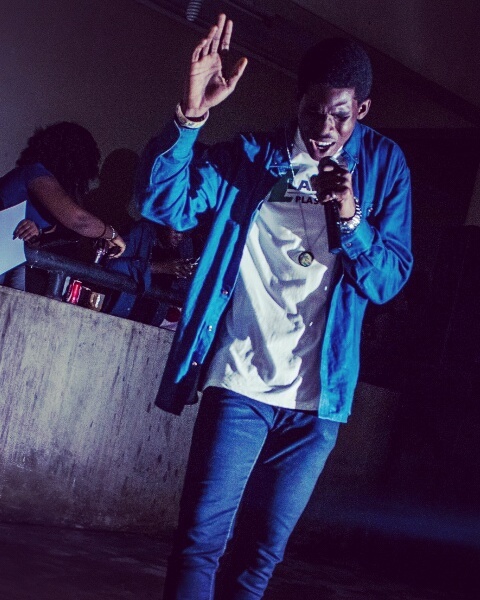 It must not escape mention here that the person who saw my ability and encouraged me to record a song with him is Mr. Caleb Ibizugbe (Kaybee), a talented lyricist and vocalist. We have recorded two songs together as at the time of publishing this article. After all said and done, I can only say that things would get better by God's grace. 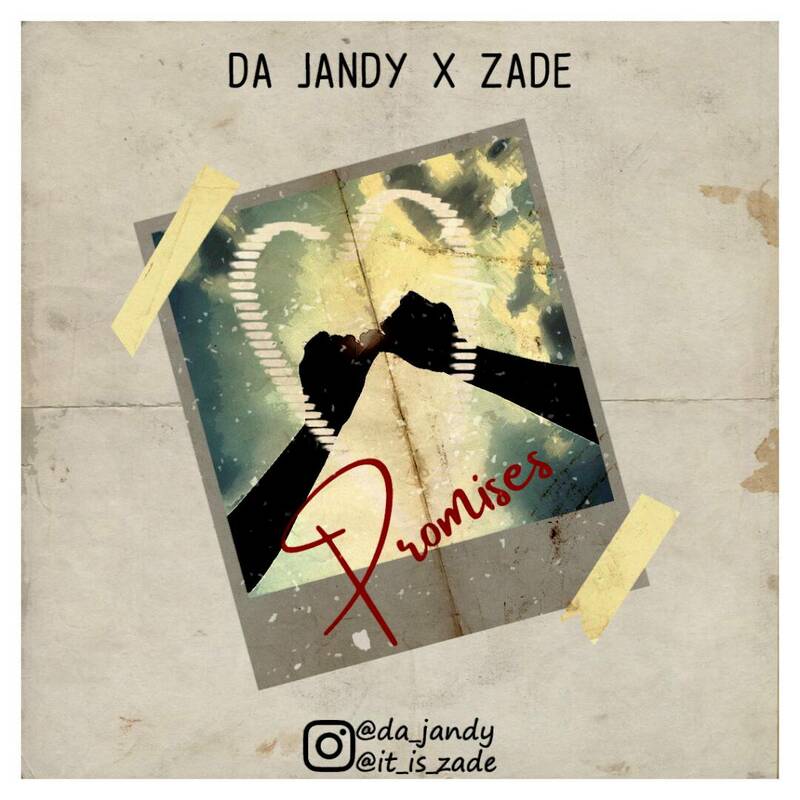 Conclusively, I'd tell everyone to grab my latest song titled "PROMISES" Da Jandy ft ZADE. It's a break from the norm. It's "Da Jandy" on this one. Nice piece mr Jandy, shine on musically...peace!